Victaulic, the world’s leading manufacturer of mechanical pipe-joining systems, has recently been awarded the William C. Tamburro, Sr. Vendor Support Award from the Philadelphia Chapter of the Society of Fire Protection Engineers (SFPE). 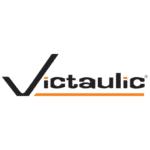 Victaulic manufactures a variety of solutions for the fire protection market, including the award-winning FireLock™ Series 745 Fire-Pac, a pre-assembled fire protection valve and trim. Throughout its 95 year history, Victaulic has continued to advance the industry with breakthrough products that provide safe, dependable solutions. Additionally, Victaulic offers instructional training events on proper installation, maintenance and inspection of its products and solutions – supporting the fire protection and PHA industries. Victaulic regularly speaks at SFPE chapter dinner meetings to share industry news and thought leadership. The Philadelphia • Delaware Valley Chapter purpose is to advance the art and science of fire protection engineering and its allied fields, for the reduction of life and property losses from fire, to maintain high ethical standards on engineering among its members and to foster fire protection education. Recognition of fire protection engineering as a discrete engineering discipline is a prime goal. Engineering disciplines exist because there is a special body of knowledge based on the fundamentals of mathematics, physics, chemistry, engineering science and economics. The chapter strives to facilitate sharing of sound engineering experiences and knowledge between its members and the fire protection community in general with an active program of education and scholarship activities.